I love sheer lipsticks. They’re my on-the-go essentials, as they’re great for fuss free touch ups, and I especially love wearing them during hot summer days, when my makeup goes down the au naturel road. Wearing bold lipsticks while your face is melting off? No, thank you. A recipe for disaster. So, without further ado, here are my favourite sheeries – yup, made up a word again – for this time of the year, following the order of the swatches below, from left to right. Maybelline Baby Lips ‘Pink Shock’ Lip Balm: I totally followed the hype of these and bought tons of them while visiting California last year. Before even trying them out first, haha. I gave a lot of them away in my giveaways, but kept four of them for myself. You know, one for every season. And yes, I’m serious. 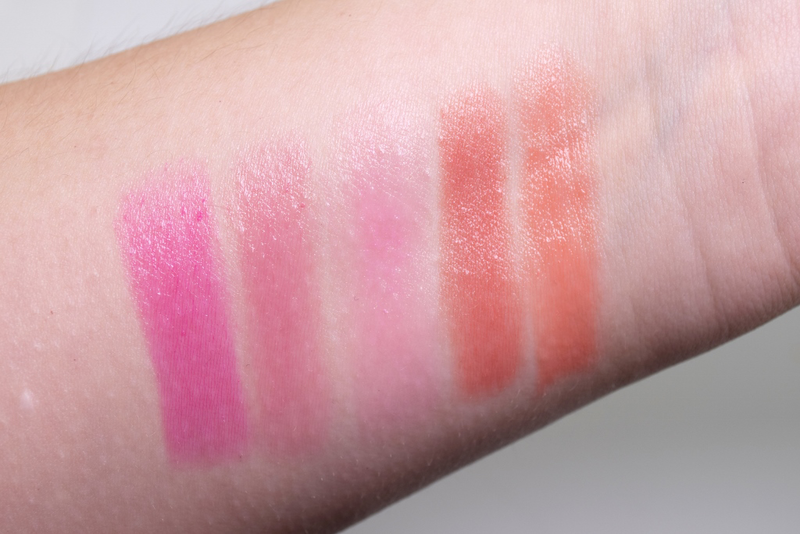 The summery one, Pink Shock, is very moisturizing and offers quite a bit of coverage. It functions perfectly as a shiny fuschsia pop of colour on your lips. Makeup Academy ‘Shade 4’ Lipstick: This baby is the sheerest one in the bunch. I put it on when I want my lips to look only slightly more pink than my natural lip colour. I don’t think it works best with my summer tan, so it’s usually reserved for late spring/eary summer days, but I thought I would mention it anyways, because it’s a total bargain! It costs only one pound, despite having the formula comparable to much more expensive lipsticks. L’Oreal Caresse ‘Dating Coral’ Lipstick: My current favourite lipstick. I rediscovered it in my drawer about a month ago and I now carry it everywhere with me. 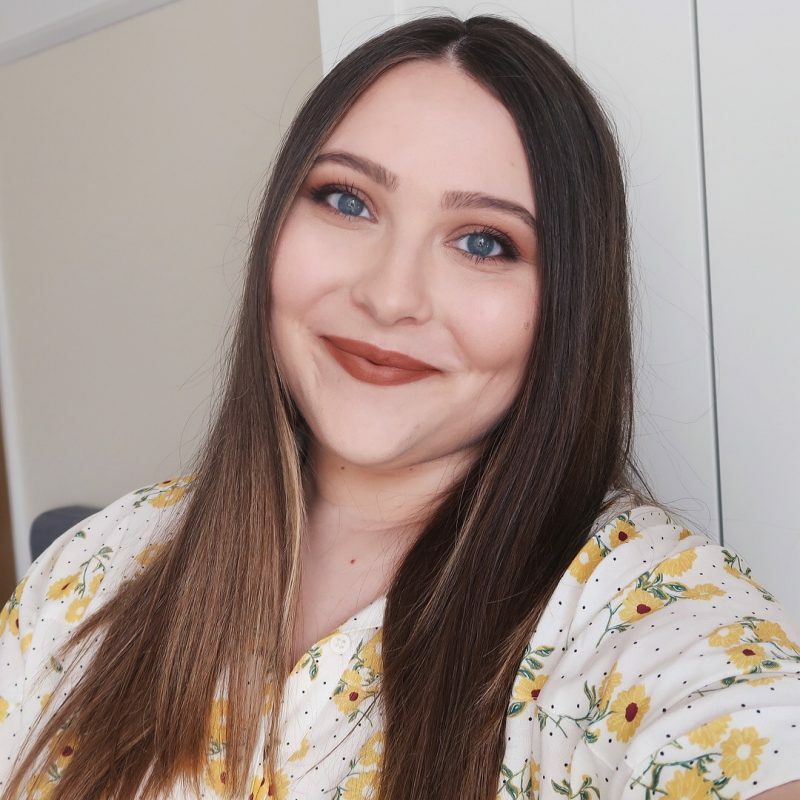 I feel like it really compliments my skintone at the moment, and I just love pairing it with the coraly pink blush from the Makeup Revolution ‘Sugar & Spice’ Palette I’ve been obsessing over recently. By the way, the lipsticks from the L’Oreal Caresse line are the bomb, so if you haven’t checked them out yet, I would highly suggest you do. They feel like butter on your lips! I have four of them. Revlon ‘Juicy Papaya’ Lip Butter: The main reason why I love this one is because it’s the only peachy shade that actually suits me. I have a very prominent yellow skin undertone that ‘comes out’ especially when my skin turns darker, and a lot of light (peachy) shades end up looking terrible on me. This lipstick is again one of those I prefer wearing when I’m a bit paler, but it also looks great with a tan. 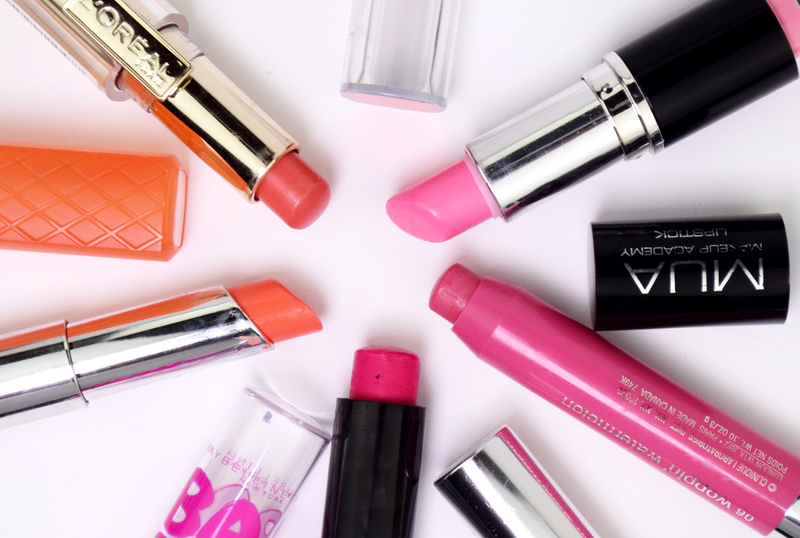 Are you a fan of sheer lipsticks as well? Which are your faves? I don't think the MUA lipsticks are meant to be sheer, I think their just not very good quality haha! I have a YSL sheer lipstick and its my fave <3xxx | daisydaisyxxoEnter my giveaway here!! I have three other, darker shades from MUA and none of them are sheer, so I wouldn't agree. The quality is amazing for the price, as they feel and look lovely.